My daughter took me to a new antique thrift store she'd discovered recently, and we had the best time browsing together. 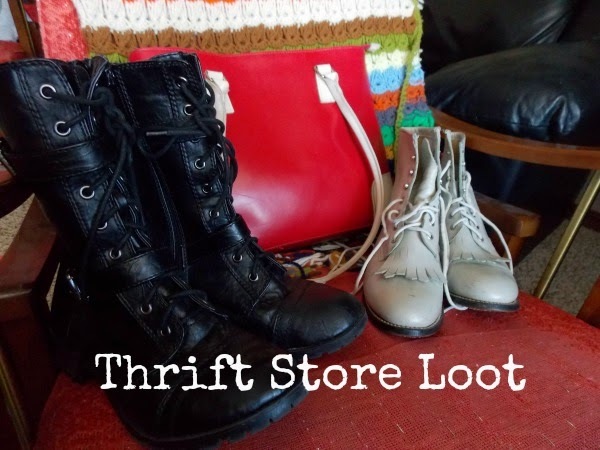 I'm not an avid shopper, but get me in the thrift shop and I'm raring to go! I LOVE these adorable white boots! I'll probably pair them with skirts but I think they'd be just as fun with jeans. 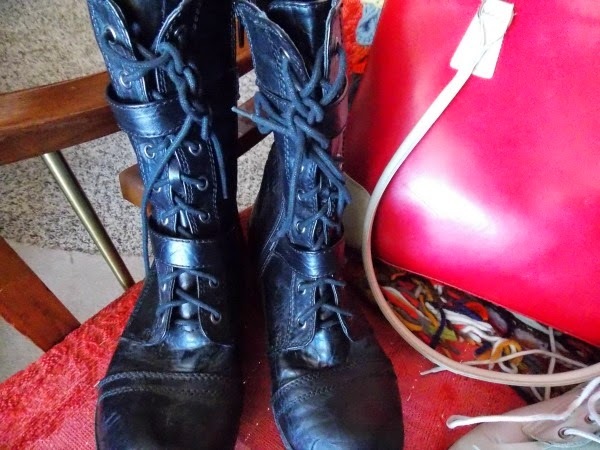 And these black boots (does it really surprise you I bought two pairs? I can't resist BOOTS!) are so edgy with a side of cool. I may live in them (if my daughter doesn't swipe them from me). This purse was actually the first thing that caught my eye. I'm not a big purse person. I like looking at them, but I'm happy to carry the same purse for years (please don't call the fashion police). 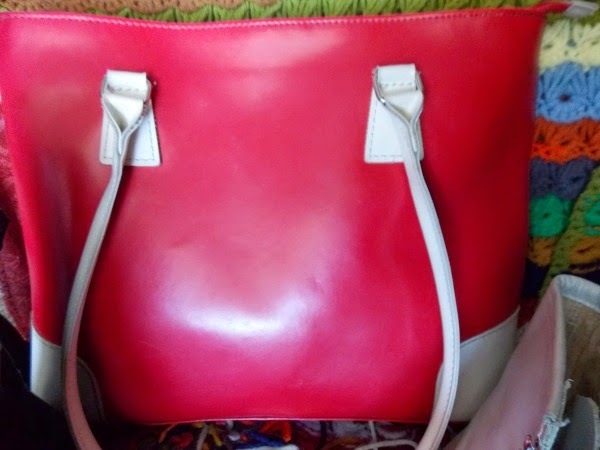 But this one was the perfect size with a big splash color and leather-ish skin, which means durable. For someone who keeps a purse for years, durable is kind of important. That's my loot! Have you found anything cool recently? 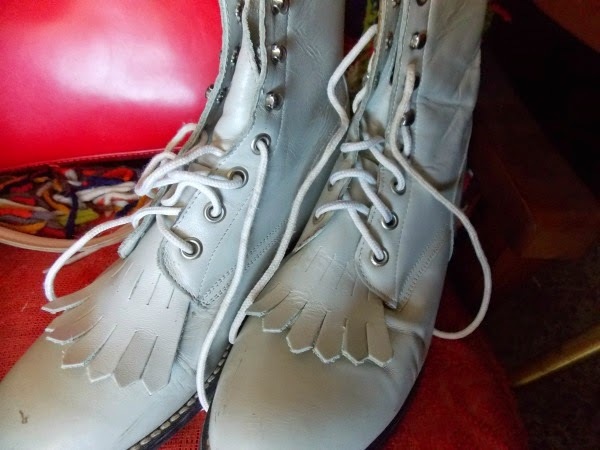 Oh my word both those boots are amazing, especially the cream colored ones! Such a great find!